Over the last few months, many institutional investors announced their ambition to contribute to the SDGs. The vocal frontrunners are raising awareness in the investor community. At FMO, we even put the SDG icons on our windows. More and more institutional investors have come to understand why investing with impact is an integral part of their fiduciary duty. I consider this a big leap forward compared to a few years ago, when impact investing was considered a niche occupied mostly by foundations and development finance institutions. But actions speak louder than words… so now is the time to move from ambition to action! All change starts with awareness. As the ADKAR® model puts it, awareness of the need for change. ‘Communications from others’ is one of the strongest factors that can build awareness of the need for change. So every CIO who gets on stage to talk about SDGs or impact investing contributes to change. So far so good. What else builds awareness of the need for change? Events – almost every week, I receive an invitation to attend or speak at a dedicated impact investing event somewhere in the world. And increasingly, mainstream events put ESG and impact high on their agenda, no longer as a side topic for the final panel on the last day. During an extremely inspiring speech by Al Gore at the 3rd Impact Summit Europe earlier this year I realized even more how many of recent catastrophic disasters and political challenges relate to climate change; even the war in Syria can be traced back to the worst drought in the region in 900 years. Catastrophic disaster – Well. What to say… You can ignore science and facts, choose a different scientist, look away from the news, but the facts are there. During an extremely inspiring speech by Al Gore at the 3rd Impact Summit Europe earlier this year I realized even more how many of recent catastrophic disasters and political challenges relate to climate change; even the war in Syria can be traced back to the worst drought in the region in 900 years. Gradually weakening financial performance – the low interest rate environment caused many Dutch pension funds’ coverage ratios to drop below what is considered acceptable. As impact investing can bring yield and diversification benefits while reducing risk, the investment opportunity is increasingly recognized. 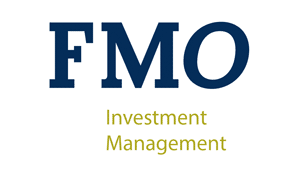 The recent successful issue of FMO’s 3rd Sustainability bond proves both appetite and opportunity. Thanks to all of the above, I would conclude that we should be well beyond awareness. We understand why investing for a better world is needed. And why it is good business too. So, logically following the model, we desire impact, and we are building the knowledge base around impact investing. Desire and knowledge enable investors to define what impact they want to have. As I have said in earlier blogs, impact is highly particular to each investor. Rather than aiming for one standard definition of impact investing, I believe each investor should determine its own impact targets, in a three dimensional approach also including its return targets and risk appetite. The next crucial steps are the (organizational and individual) ability to make impact investments, and the reinforcement needed to sustain an impact investing strategy when the going gets tough. What we see now is that frontrunners have realized their ‘quick wins’: re-labeling investments already in portfolio and making new impact investments within the constraints of allocation policies and mandates. The real change is needed after these quick wins, when no more impact investment opportunities can (easily) be found that fit existing policies and mandates. How can you change for impact, facilitating impact investments beyond the quick wins? Be specific, but not narrow: don’t speak about impact investing as a generic strategy, but specify what kind of impact you want to achieve and how you will measure it. The 17 SDGs are specified in 169 targets. If nothing else, it shows that there are multiple ways to achieve your chosen impact goals. Make impact a must have investment objective not a nice to have. Practice what you preach: getting on stage with your SDG ambitions is good, actually making the impact investments is better, and being an inspiration to others to follow you is best! Broaden investment mandates where needed. Learn by doing: walk before you run, dare to start ‘small’. There are sufficient institutional propositions of decent size available. If broadening of investment mandates is difficult, consider starting with a dedicated impact mandate. The much cited ‘career risk’ associated with making innovative investments would then result from not making any! Explore private markets: to my surprise, the largest growth of impact investing by far is now seen in public equities. I would argue that private debt and private equity offer better opportunities for real world impact. Real world impact being the type of impact that you can see and measure as the outcome of your specific investment, and that wouldn’t have happened otherwise. This so-called ‘additionality’ is a guiding principle for development finance institutions, and can be useful for ambitious impact investors too. I hope these ideas will help you to move from ambition to action. Because if you change nothing, nothing changes at all!